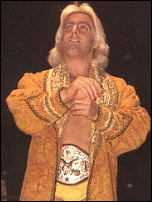 In PART TWO of our "Grand Slam" feature, we take a look at "Nature Boy" Ric Flair. 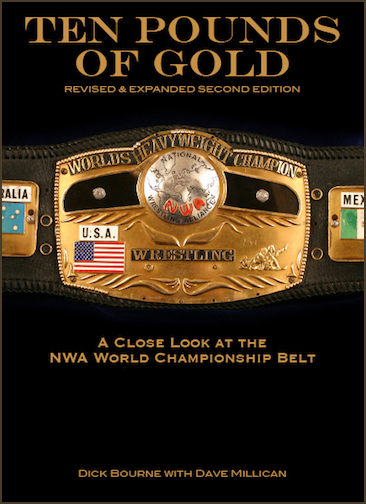 Ric Flair's first title in Jim Crockett Promotions (his first championship of his pro wrestling career) came only a few months after he had entered the territory. 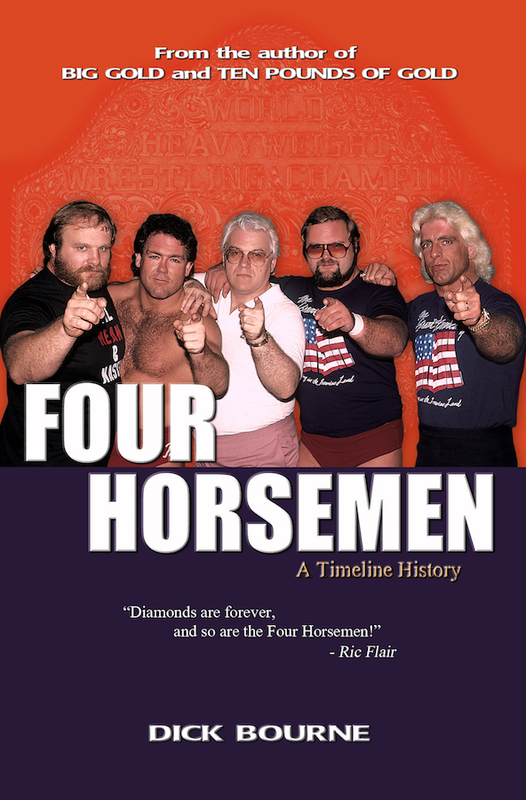 Flair was initially billed as the nephew of area veteran Rip Hawk. 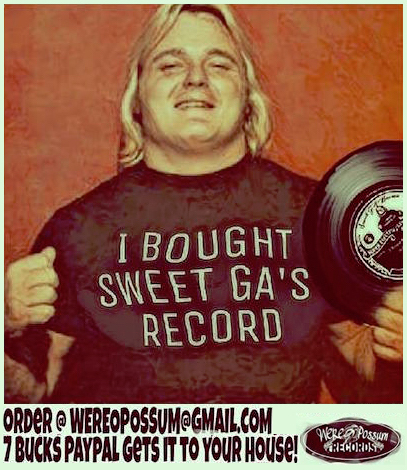 He and "Uncle Rip" teamed up to defeat Paul Jones and Bob Bruggers on July 4, 1974 in Greensboro, NC. 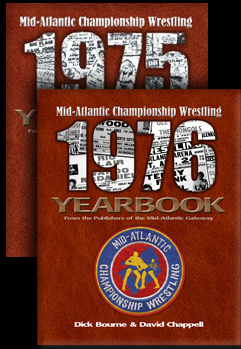 Towards the end of the year, Hawk left the territory and Brute Bernard replaced him teaming with Flair in a title defense against Paul Jones and Tiger Conway Jr. on December 6, 1974 in Charleston's County Hall. Jones pinned Flair in that match and new champions were crowned. 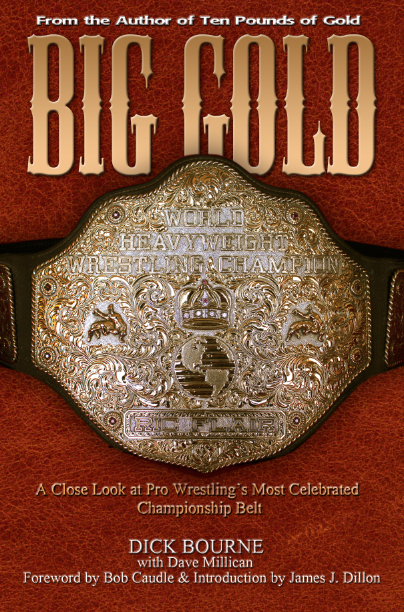 But Flair's star was on the rise, and he set his sights on his first singles title. Flair began a feud with Paul Jones, who had defeated Ivan Koloff for the Television title in 1974. 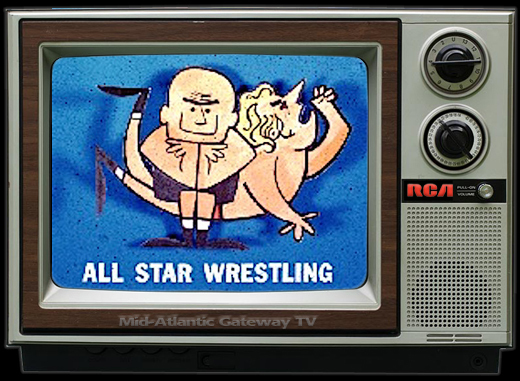 Koloff was to receive a rematch on February 8, 1975 in Winston-Salem, NC but due to travel circumstances, failed to appear for the match. Promoters gave Flair the title shot and the young blond bomber upset Jones for the title that night, under rather questionable circumstances it must be pointed out. 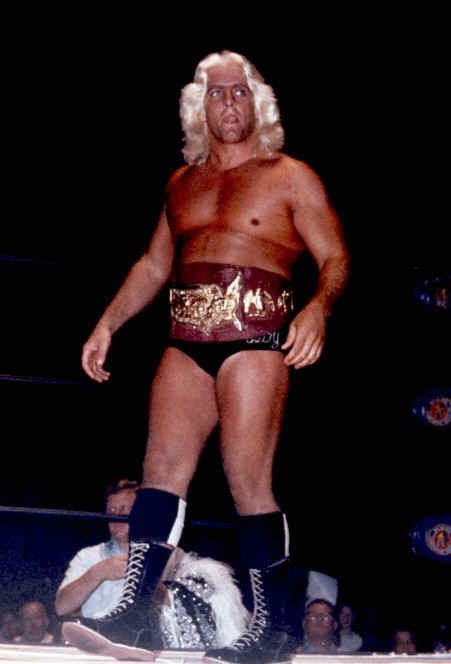 Nevertheless, Flair was now on a main event track and was holding his second title, the second "jewel" in the Grand Slam championship crown. Flair lost that title back to Jones that summer, but would regain it two years later in a title reign that begat the famous Flair/Steamboat rivalry. The loss of the TV title back to Jones didn't slow down Flair one bit. 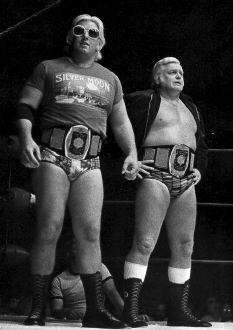 He immediately set his sites on the Mid-Atlantic Heavyweight title which was now held by Wahoo McDaniel, who had ended Johnny Valentine's 18 month reign as champion in July of 1975. 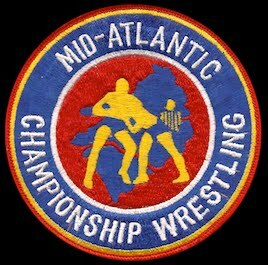 Flair upset McDaniel on September 20, 1975 at the Coliseum in Hampton, VA. After the match, all the heels on that show emptied the locker room and celebrated with Flair in the ring. 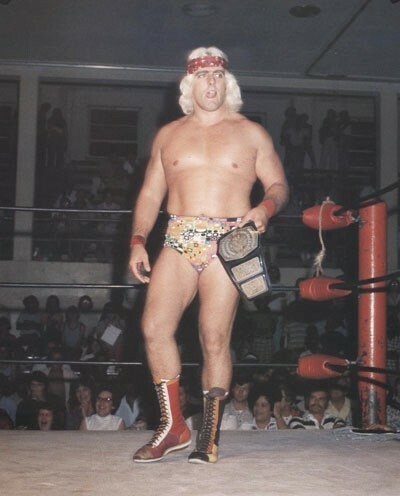 Flair was now a solid member of the main event class in Crockett Promotions and his feud with Wahoo McDaniel took center stage. 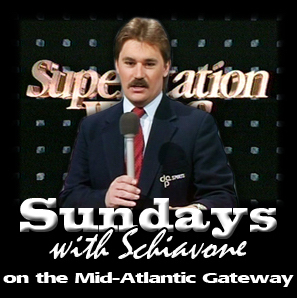 But before Flair had much time to celebrate his title win, his career was almost ended when the plane he was traveling on to a card in Wilmington, NC crashed short of the runway. This is the plane crash that did end the career of Johnny Valentine, and was thought to possibly end the career of Flair. But Flair made an amazing return to the ring three and a half months later. The NWA had allowed him to keep his title in the interim, and his feud with Wahoo McDaniel took off again as soon as Flair was back. The two traded the title back and forth for the entire year of 1976, before Wahoo got it back for good in December of 1976. Flair wouldn't hold that title again, but at this point he turned his attention elsewhere, forming a memorable "dream team" with new comer Greg Valentine. 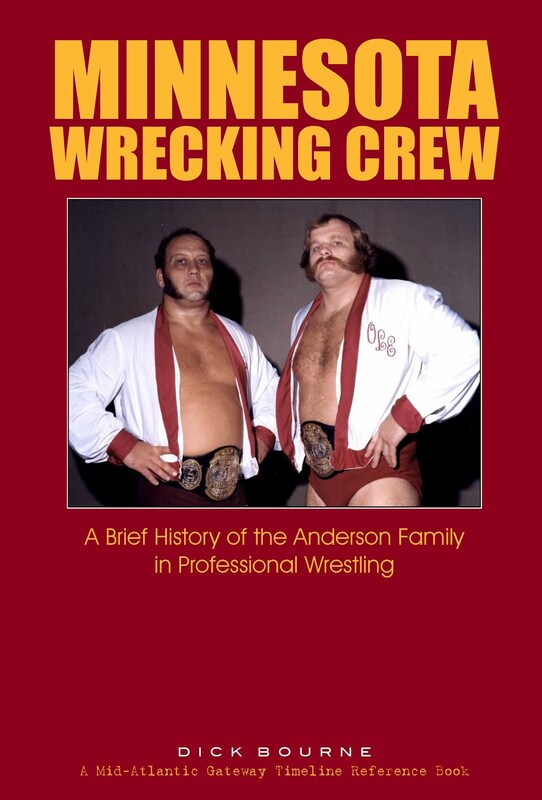 Flair and Valentine traded the titles back and forth with the Andersons in 1977 and 1978 before ultimately stripped of the titles by the NWA in April 1978 because they refused to defend them against new #1 contenders Paul Jones and Ricky Steamboat. 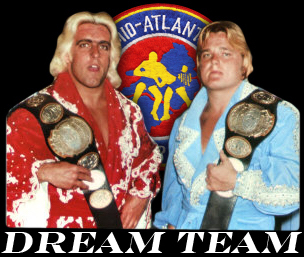 Flair would hold the World Tag Team titles on one other occasion, in 1979 with Blackjack Mulligan. But it was this 1976 win over the Andersons that cemented his fourth jewel in his Grand Slam championship run. 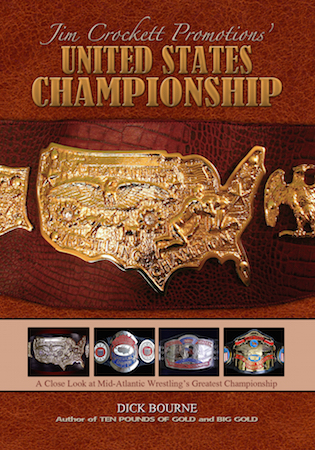 All that was left now was to win the United States title. Flair had held the area's two regional singles championships, but he was hungry to win a national singles championship. On July 29, 1977 in Richmond, VA he defeated wrestling legend Bobo Brazil to win his first of six United States championships. 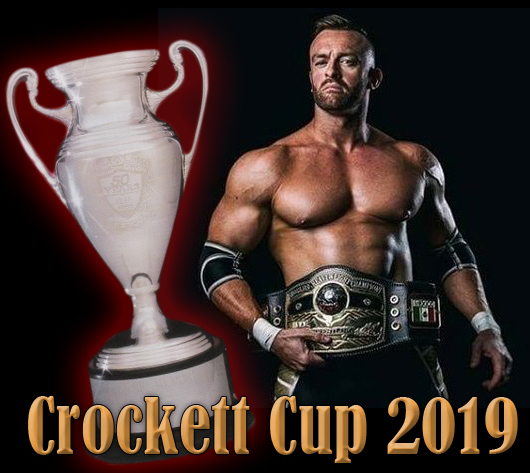 With that victory over Brazil, he became only the second wrestler to hold all five of the Crockett championships, and he had done so by only his fourth year in the wrestling business. We shift our focus to Ric Flair's biggest rival "The Hawaiian Punch" Ricky Steamboat, who would become only the third wrestler to hold Crockett's Grand Slam. We'll detail how he did it next time. Did you miss our story on the first Grand Slam Champion "No. 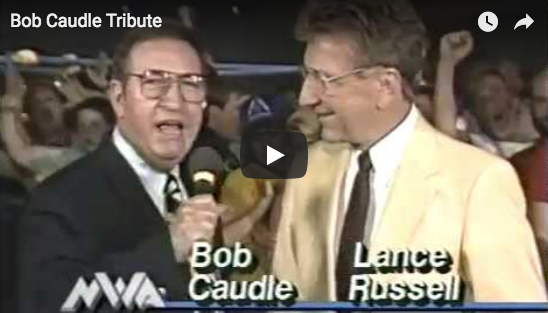 1" Paul Jones? Paul not only was the first wrestler to hold all of Crockett's Mid-Atlantic territory titles, he did it all in one year! Check out PART ONE here.